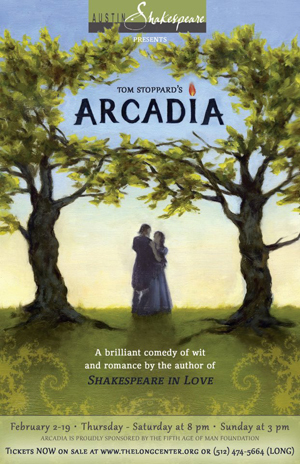 Playwright Tom Stoppard wanted to incorporate ideas of chaos theory and thermodynamics into the intricately structured plot of his play Arcadia. His archive shows how he consulted with his son, a physics graduate student at Oxford University, and with his son’s colleagues to get the details just right. The play opened to acclaim at the National Theatre in London on April 13, 1993, and now Austinites can see an Austin Shakespeare performance of Arcadia, which opens Thursday and runs through February 19 at the Rollins Studio Theater at the Long Center for the Performing Arts. 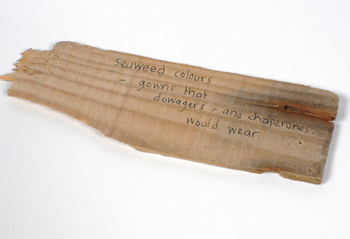 The Stoppard archive, which was acquired in batches between 1991 and 2000, spans more than 60 years and includes materials related to Arcadia and other well-known works, such as Rosencrantz and Guildenstern are Dead (1968) and Shakespeare in Love (1998). To celebrate the opening of Arcadia this week, the Ransom Center is giving away two tickets to the Sunday, February 5 performance at 3 p.m. Ransom Center Director Thomas F. Staley will speak about “The Real Tom Stoppard” before the performance at 2:15 p.m.